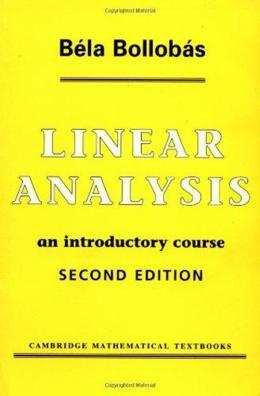 Now revised and updated, this brisk introduction to functional analysis is intended for advanced undergraduate students, typically final year, who have had some background in real analysis. The author´s aim is not just to cover the standard materialin a standard way, but to present results of application in contemporary mathematics and to show the relevance of functional analysis to other areas. An outstanding feature is the large number of exercises, some straightforward, some challenging, none uninteresting.